Limited Time Offer - £16.95 until 23 March! Have your curiosity cake and eat it with our Bake Off Lab Box! 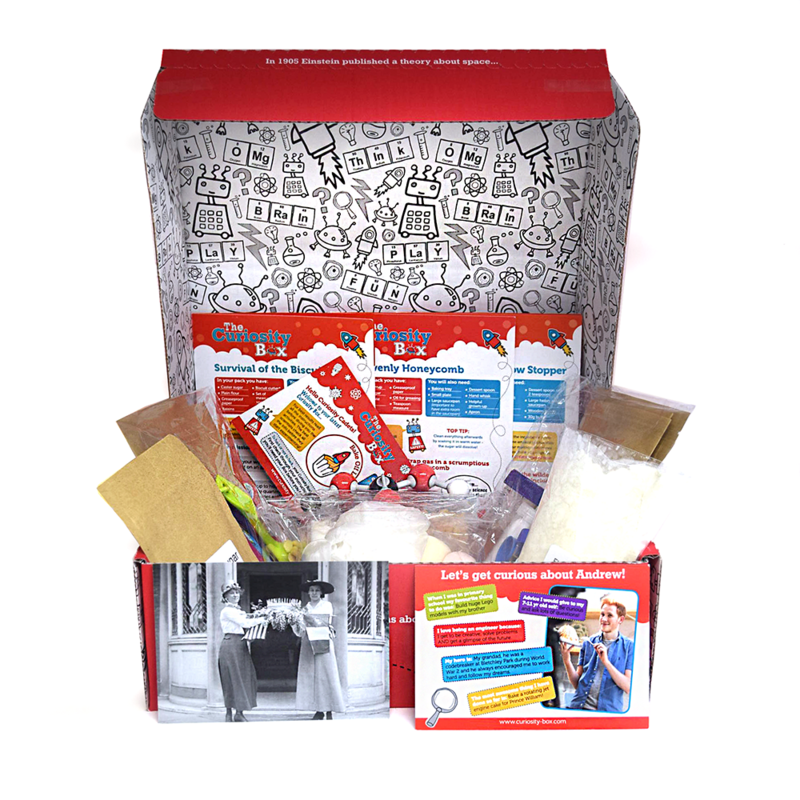 This scrumptious box contains 3 delicious activities that you’ll want to get your teeth into plus 2 brilliant collectables - a rocket shaped biscuit cutter and colourful measuring spoons. If that's not enough, we've also included a Molymod! Find out what it takes to make the perfect dunkable biscuit, study the sweeter side of science with our Heavenly Honeycomb activity and make your very own Curiosity Showstopper! Mmmmmm, science you can actually eat! Ready...steady.....science! Please note this box contains food - please check with us if you suffer from any allergies.